Science keeps telling us that wine is good for our health. The Lake Oswego Wine Walk keeps proving that wine is also good for business. Sponsored by the Lake Oswego Downtown Business Committee, here are five reasons why this event in its fifth year is a win/win for wine lovers as well as local merchants. 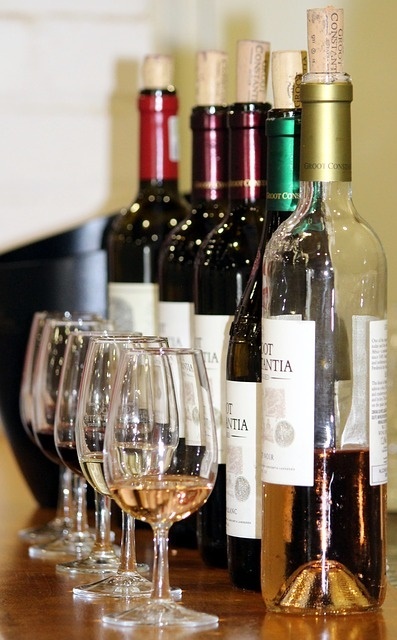 Participants can sample a wide variety of wines. Wizer’s Fine Wines is coordinating the wine selection based on each pouring location’s request. Offerings will hail from many popular regions including Spain, Italy, California, Washington, and Oregon. After checking in at the Lake Oswego Chamber of Commerce, (459 Third Street, beginning at 12:30 p.m.) tasters will receive a map listing what venues are featuring which wines so they can plan their strategy. Variety isn’t just in the wine growing regions represented. It’s also in the number of tastes tickets are good for—12 for each $40 ticket. Five additional pours can be purchased at check-in for $10. That’s a lot of territory to cover in a very walkable distance! Food goes well with wine and the two will be paired at the event. Each business owner will greet you not only with wine but food as well, in most cases prepared by local caterers. Music and art will also be featured both around town and inside some of the businesses. Get some culture along with your wine—it’s a great combo! New wines aren’t the only thing participants discover. One of the remarks commonly heard among participants during this event is that they learned about businesses they didn’t know were in Lake Oswego. Approximately 26 businesses have signed up to open their doors to wine lovers ranging from Glance Optics and Eyewear to Blue Moon Coffee and glassybaby. The Lake Oswego Wine Walk is set for Saturday, October 21 from 2:00 p.m. to 5:00 p.m. Tickets are $40/person and available online. It has sold out in the past so get your tickets early. Stay up-to-date on what’s happening in Lake Oswego. Subscribe to “52 Reasons to Love Lake Oswego” by clicking the “Sign me up” button in the top right hand column. This entry was posted in Things to Do in Lake Oswego and tagged Lake Oswego Oregon, Lake Oswego Wine Walk, Wine tasting. Bookmark the permalink.